PRICE REDUCED-COME SEE- Hunting Ranch 13 mi. East of Devine, 16 miles West of Jourdanton off State Highway 173- 35 min S. of San Antonio. 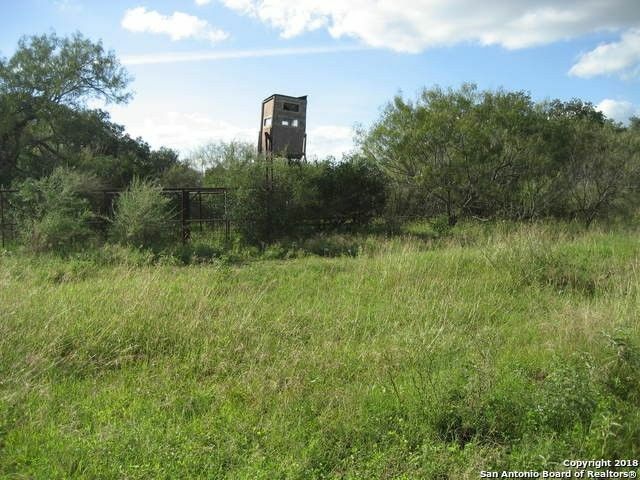 Gently Rolling terrain, Heavy South Texas brush with large live oaks, mesquites and hardwoods scattered through-out. Great habitat for wildlife - pastures, earthen tanks, well with submersible pump. Good access on County Rd, off main drag, this ranch is being offered for the first time from local family. Great place for your hunting camp. Private and off beaten path. Directions: IH 35 South to Devine, exit on State Hwy 173, go East ( towards Jourdanton), approx 13 miles to CR 311 on South side, 2 miles S on 311 to CR 310, 1 mile to gate ( on right).